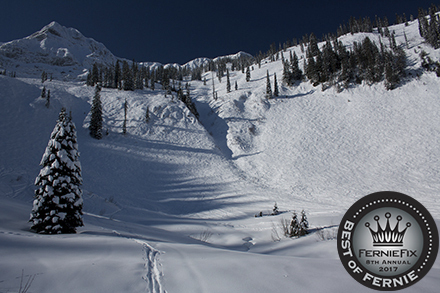 Fernie Alpine Resort is excited to welcome back the Monster Energy Boarderstyle Competition – March 15th and 16th! The Monster Energy Boarderstyle is free to enter and open to all competent riding abilities. The snowboard-only event consists of a Men’s and Women’s open category. 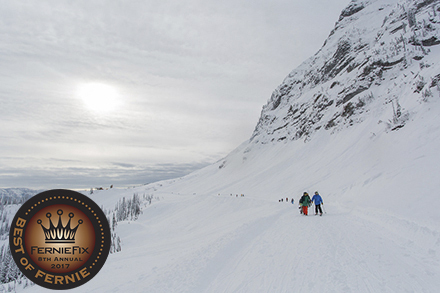 On top of cash prizing, the winners of the Fernie, Silver Star and Mount Washington events will receive invites (including transportation and accommodation) to compete in the final event at Whistler Blackcomb. Come and meet your Fernie Ski Patrol team and the Helly Hansen Crew at the Fernie Patroller Hut at the top of White Pass! You could win prizes, apparel and accessories from Helly Hansen. Sip on hot chocolate and toss dynamite for your chance to instantly win prizes and a Helly Hansen Lifaloft® Jacket. Get a crash course on avalanche beacons and put your skills to the test to find buried Helly Hansen prizes. On Sunday, January 13, 2019 Fernie Alpine Resort will say ‘Thank You’ to local communities by offering a FREE day of skiing and riding to the residents of Fernie, Elko, Elkford, Jaffray, Sparwood and all residents living in the Elk Valley, as part of the annual Community Appreciation Day. Come see the new Absinthe movie before it's released and celebrate winter with your friends. It’s 7am on another powder day. Time to check the snow report while sipping your morning coffee and planning the day ahead. The staff at FAR help with favourite stashes and runs from each of the five bowls to keep you smiling all day long. Repeats every day until Sun Mar 31 2019. Weather dependent. Stay tuned for more details. There are so many great options at the hill, but of course we all have our favourites... some secret! These three received the top votes in 2017.